Work with schools : examples include our busy Education programme, school use of our Estate for outdoor activities, Young Hopetoun Club & Junior Rangers and farm visits from local schools in partnership with the Royal Highland Education Trust (RHET). Work placements : we frequently offer work placements in a number of areas within the House and Estate including a World of Work partnership with nearby Echline Primary School. Study : Support for students looking for assistance with studies and teachers looking for help with specific modules. Recent examples include support for a Game Keeping course at Oatridge College, supporting SAC students with renewable energy studies and assisting students from Edinburgh University and St Andrews University with their thesis and dissertation. Stakeholders : We continually engage with stakeholders to solicit communities’ concerns and wishes. Examples include hosting visits from local councillors and politicians and having a representative from Hopetoun attend local community council meetings. Support for local events : Examples include sponsorship of Forth Bridges Festival event volunteers and support of local events through donations and resources. Communication: The Trust and the Estate both have an active communications plan including newsletters, media relations, direct mail and social media to regularly inform local communities of news relating to Hopetoun. Current facilities: Our 6,500 acres includes many small towns and villages including Newton, Abercorn and Winchburgh. The Estate works continuously with these local communities to maintain and continue access to many areas on the Estate. Examples include 3 public parks, a church hall, allotments, a golf course and the provision of land for Riding for the Disabled at Whitequarries. Future facilities: By engaging with the community councils in each village we aim to meet any new requests for land that will be of benefit to the local community. A recent example would be the provision of land in Newton for the development of a new football pitch for the village. Land use: We aim to make the Estate accessible and accommodate as many requests for temporary land use as we are able. 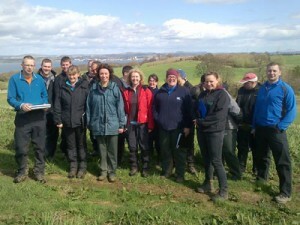 Recent examples include access for Scottish Government rural training activities, access for Broxburn Family Centre for outdoor activities, access for wildlife and environmental surveys and cooperation with tour agents wishing to visit Midhope Castle. Partnership: We proactively work in partnership with stakeholders on tourism initiatives and community initiatives. Hopetoun are active members of local organisations who aim to bring additional income to the area. 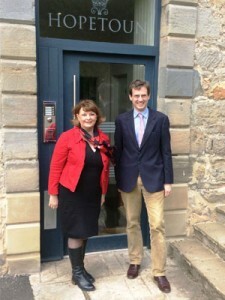 Examples include Visit West Lothian, Queensferry Ambition and Go Rural.